I LOVE mayonnaise. Love is a strong word and I have no qualms of using it for food. Yes, I love mayonnaise. I love it on sandwiches, in tuna or egg salads, in the Russian potato salad, mixed into borsch, and eaten with fries. 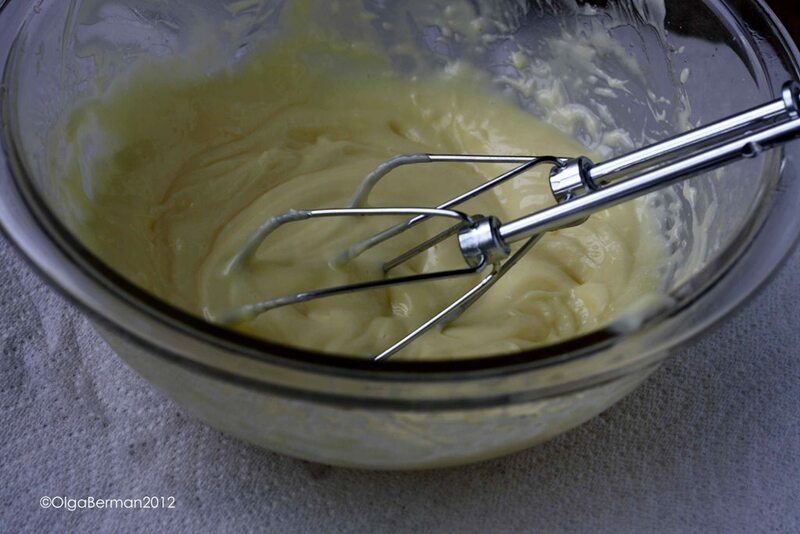 I've loved mayonnaise ever since I was a little girl. 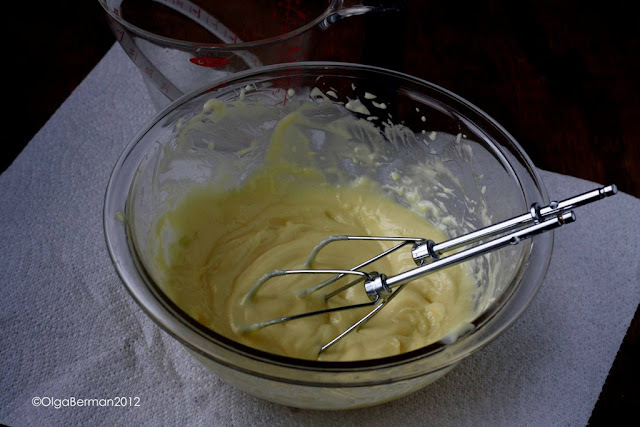 But until last week, I have never ever made mayonnaise on my own. Is that a horrible thing? Not really, but I wanted to change it. 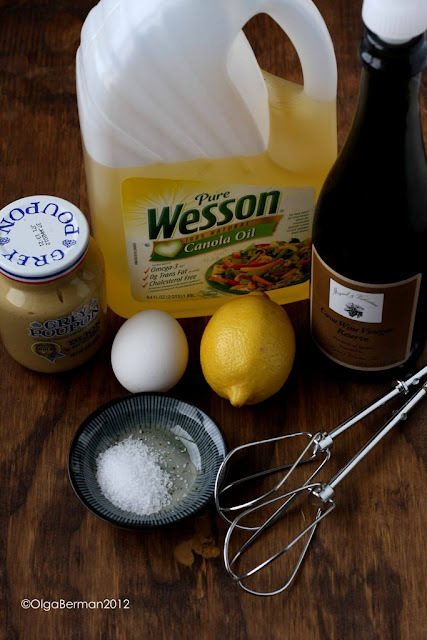 My friend Nicole recommended a recipe from Epicurious, and I'm no longer a homemade mayonnaise virgin! 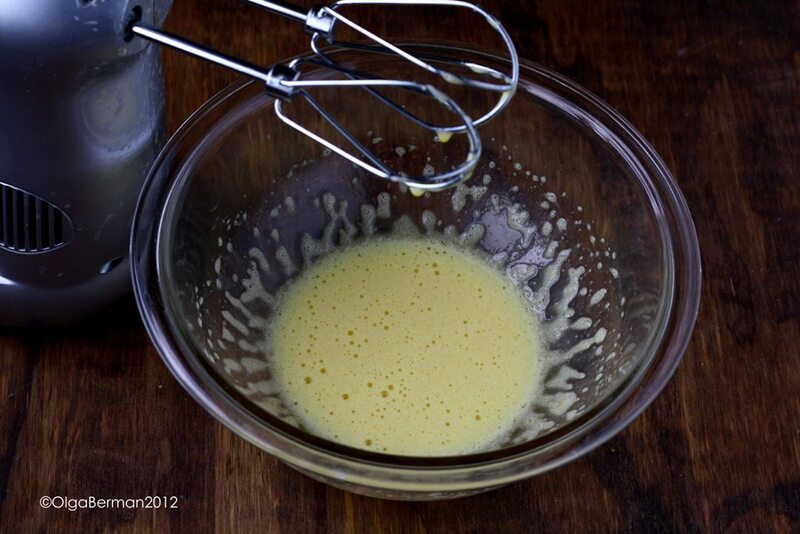 What you basically do is whisk an egg yolk with lemon juice, vinegar, mustard and salt and then super slowly add the oil while continuing to whisk. That's all! This was quite an easy project. But you know what I did yesterday? 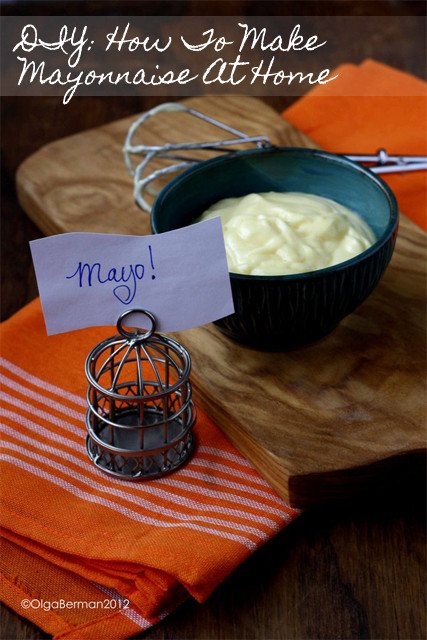 I bought a jar of mayonnaise from a grocery store. It will last waaaaaaaaaaaaaaaaaay longer, I actually prefer how it tastes, and I see nothing wrong with it. Will I make mayonnaise myself again? Perhaps. Am I making any strong promises? No. 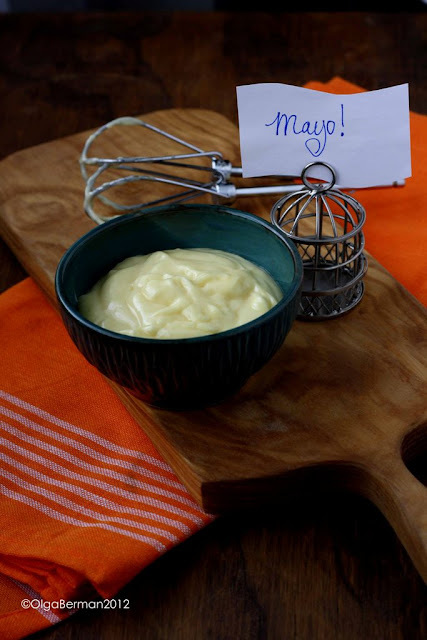 Have you made mayonnaise at home? Did you absolutely love it? My sister is afraid of mayo. Literally. I'm so dang impressed with this AND you! I make mine quite often (especially if I have leftover yolks), but I am a big fan of immersion blender method - much easier and faster (and way cooler). Main thing - ingredients at room temperature, as you say - it took me a lot of time (and expensive eggs) to realize that it is imperative :). I don't love mayo and I keep thinking if I tried making it from scratch, I might actually like it.